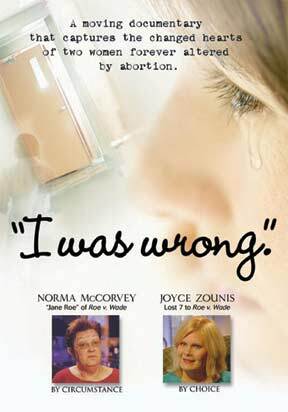 Joyce Zounis' choice of abortion, not once but seven times, nearly cost her life. Tormented by disbelief, she lived a nightmare of anger, guilt, and disconnection. She grieves not only for her seven children but also for the heritage of their children. Touched by the truth of God's tender love through a radio show, Joyce now shares her gripping story to reach those who desperately need hope and healing. I Was Wrong captures the changed hearts of two women restored by the redemptive forgiveness of Jesus Christ and brings a deeper understanding of how abortion strikes at the heart and soul of America.